Ross' Dad often says "Life is what happens while you're making other plans." We have been experiencing & enjoying life, but we've gotten more behind on our Project Life than we had planned! Oh well, here's part 1 of our 3-part Project Life catch-up. "Just met Jesus. He lives in a broken down bus with his Mom & brothers. He can't walk b/c of cerebral palsy, but he loves to sing. His mom, Sarah, has to leave him for hours at a time to go work in the fields. They have nothing, but she just kept saying "it's because of God that we have so much to be thankful for!" Seeing this broken & poverty-stricken family look up to heaven & repeatedly say "thank you" totally messed me up. 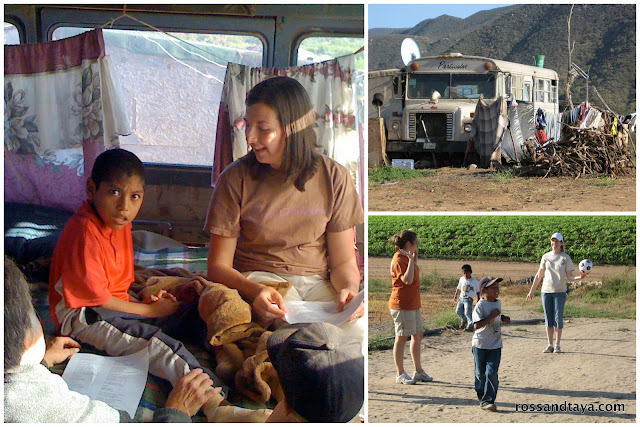 Blessed are the poor..."
July 27: Ross' team spent the day in three camps/slums on the Baja. 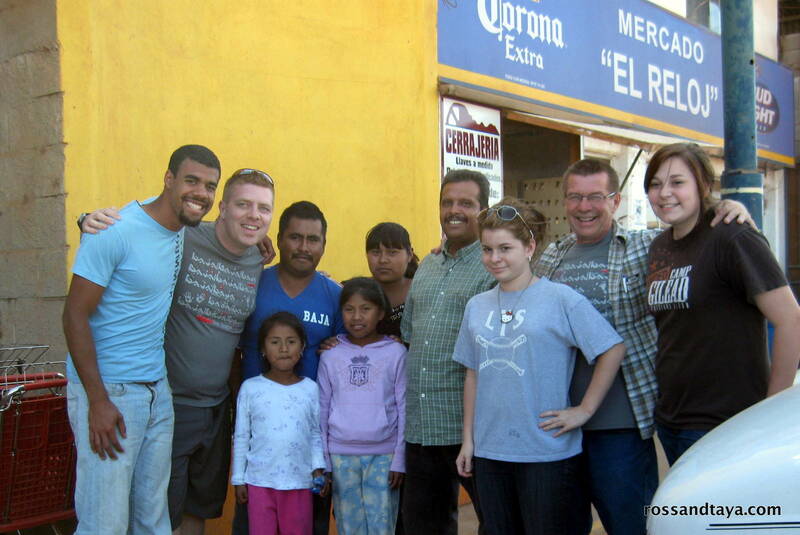 The highlight for him was meeting the man in the middle of the photo, Pastor Jose. Ross couldn't help but be inspired & challenged by this man who continually goes without many of the basic "essentials" of food, clothing, & transportation, so that he can give them to others who need them more & share the gospel with them. 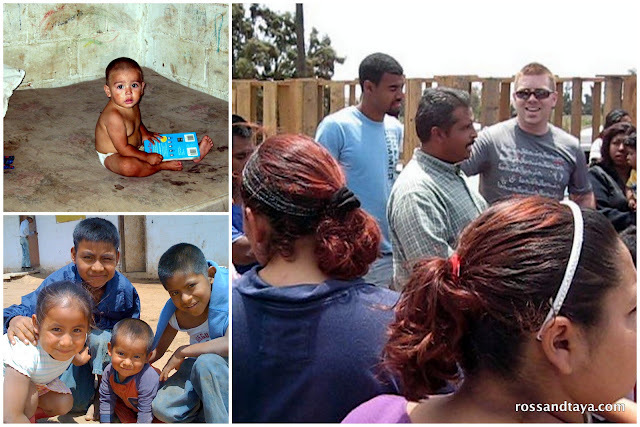 If there is such a thing as the polar opposite of "prosperity gospel," Pastor Jose is living it. Today Ross got to share the gospel with Pastor Jose translating & they even faced some opposition when some men pulled a car around and blared music whenever they would talk. As a dad, Ross' heart was absolutely broken for the kids & families living in such poverty. "Met another boy named Jesus today (along with a few hundred other kids that my Jesus loves). Covered in bug bites. No shirt. Wondering where the next meal might come from. Caked with dust... but God makes beautiful things out of the dust." July 29: One of the best parts about this trip was being reminded of how Papa cares for orphans & much he loves the people who live around the orphanage... & they love him too! July 30: Today is the day Daddy comes home! 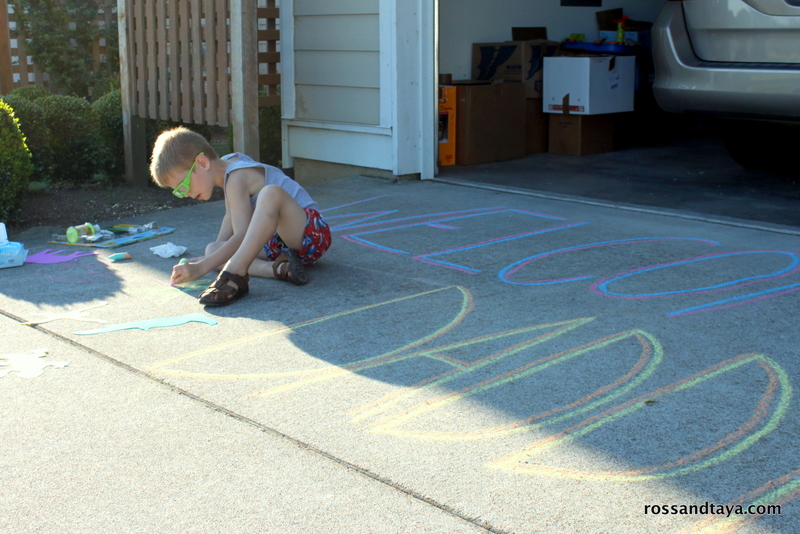 Isaiah got a cool 3-D sidewalk chalk set & he spent hours making a welcome home sign for Ross. The rest of the evening was basically spent hugging & snuggling. We missed each other so much! July 31: It had been loose for weeks, but today Isaiah's loose tooth finally just "popped" out! Losing his first tooth was a little traumatic, but he was a brave guy. 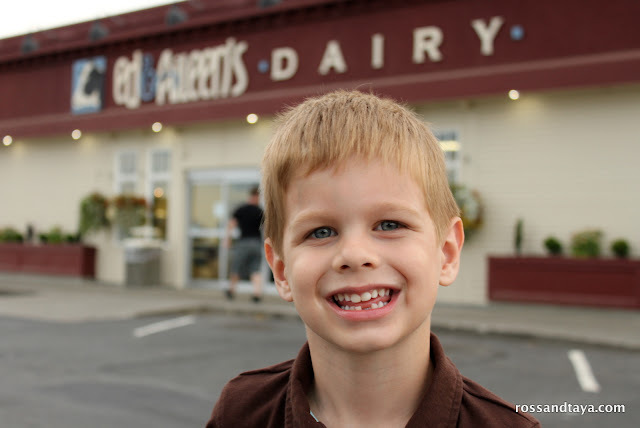 Instead of a tooth fairy, we took him to Edaleen Dairy for a delicious Bubble Gum ice cream to celebrate. August 1: One of the coolest families in Canada came to visit us today! 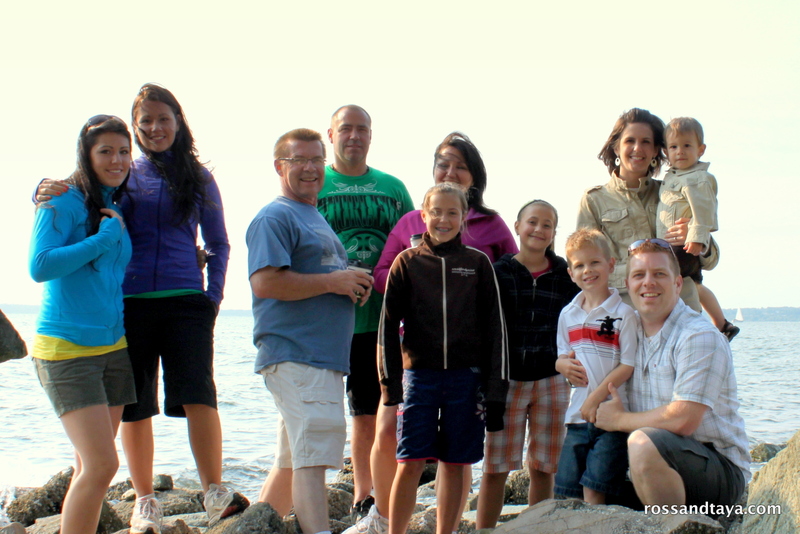 Sean & Liana have always been role models & their family is such an encouragement to us. It was so fun to show them around Bellingham & take them to a few of our favorite places (Boulevard Park, Boomers Drive-In, & Mallard's Ice Cream parlor).